The GeoBoot System is designed to assist in securing pipe and other penetrations that run vertically through the vapor retarder material. 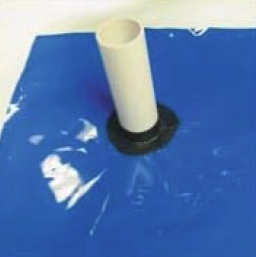 Kit includes (25) GeoBoots (18" x 18" with precut center marker) and (2) rolls of GeoBoot Tape. Click here for Product Data Sheet.